Product prices and availability are accurate as of 2019-04-16 05:24:54 EDT and are subject to change. Any price and availability information displayed on http://www.amazon.com/ at the time of purchase will apply to the purchase of this product. Looking to create some much needed storage for your child's abundance of clothes and toys? Look no further! This 3-drawer chest from the Pogo collection is just what your child's bedroom needs. 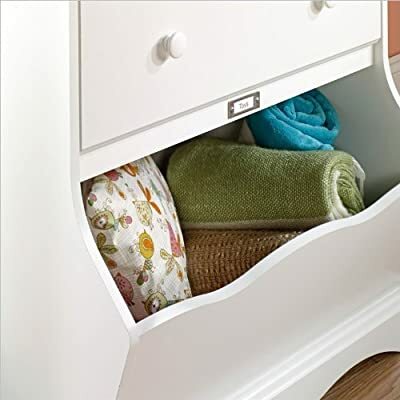 It features three spacious storage drawers that open and close on smooth metal runners, providing you with convenient space to stow away items like your child's collection of shirts, assortment of shoes, all their favorite jammies and much more! It also features a large storage bin for easy to reach storage of items like puzzles, board games and stuffed animals too! It includes an ID label tag for easy labeling and organization of your child's belongings. The top surface also provides you with room to store and display anything from books and toys to picture frames and home décor. 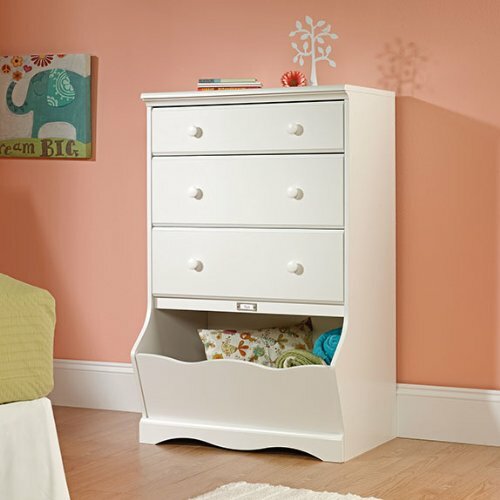 It is detailed with whimsical curves and a solid wood knob to add an extra touch of fun to your child's room. 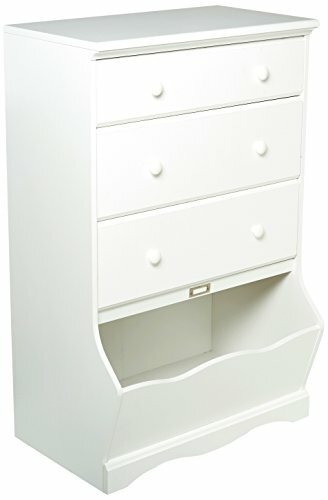 Finished in Soft White, this cute dresser is the solution to all your storage woes. Easy-glide drawers Storage bin Solid wood knobs This item is eligible for free replacement parts. Contact Amazon Customer Service for more information.